Full Separate Entrance From Outside. Possible Rental Unit. Great Investment Opportunity! This bungalow features a pine kitchen with ample cabinetry and countertop space as well as a spacious eating area which is open to the living room. The home also features 4 bedrooms, laminate flooring, vinyl siding and large windows that give the home tons of natural lighting. A full, undeveloped basement with separate access from outside could be turned it into a rental unit, helping to offset the cost of your mortgage. 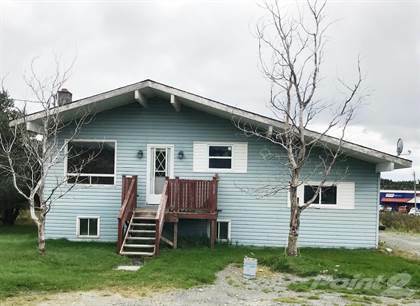 The property sits back off the main road on a double lot, allowing you lots of space to expand or the opportunity to subdivide or to rent the house and build your dream home on the adjoining lot. The possibilities are endless! Just seconds from the highway and only minutes from the schools, shopping and amenities, this is a prime location. Don’t miss out on this great opportunity. Call today! Hi, I'd like to find out more information about 231B Country Rd. Thanks so much!